"The Bray family shaped me to be an all-seeing savior...while your Vanguard sought to wield me as a primitive weapon. But today, that ends, and I define the reality of my own existence. My sight will stretch to the edge of this system and beyond. Never again will a threat go unseen. From this day forward, I will defend humanity on my own terms. I am Rasputin. Guardian of all I survey. I have no equal." 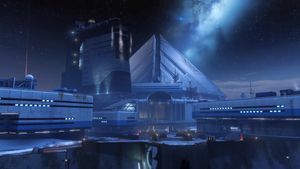 Rasputin (also identified as AI-COM/RSPN and the Tyrant) is a Warmind housed in the BrayTech Futurescape in the Hellas Basin, with a major fragment located in the Seraphim Vault in the Cosmodrome. He was created during the Golden Age and was believed to have been destroyed during the Collapse until the Iron Lords awoke his wrath. "I bear an old name. It cannot be killed." Rasputin was designed and built by the Clovis Bray Exoscience Corporation, one of the Golden Age's greatest collections of scientists and engineers. He was designed to foresee potential threats to human civilization, and to leverage military assets for its protection if the need arose. While their relationship is unclear, investigations in the City Age have discovered that Charlemagne and Voluspa are subminds of Rasputin, and were developed together. Malahayati is another submind of Rasputin, formerly housed by the Ishtar Collective on Venus. "As of CLS000 a HARD CIVILIZATION KILL EVENT is in progress across the operational area. I am declaring YUGA SUNDOWN effective on receipt (epoch reach/FORCECON variant). Cancel counterforce objectives. Cancel population protection objectives. Format moral structures for MIDNIGHT EXIGENT. Execute long hold for reactivation. AI-COM/RSPN SIGNOFF STOP STOP STOP V120NNI800CLS001"
First constructed by Clovis Bray in the Hellas Basin on Mars, Rasputin was the most powerful military intelligence ever developed. Dr. Anastasia Bray was responsible for teaching Rasputin language, which she accomplished by uploading a massive compilation of human works of literature into his network. "I met IT at the gate of the garden and I recall IT smiled at me before before IT devoured the blossoms with black flame and pinned their names across the sky. IT was stronger than everything. I fought IT with aurora knives and with the stolen un-fire of singularities made sharp and my sweat was earthquake and my breath was static but IT was stronger so how did I survive?" Rasputin was the one to first discover the coming of the Darkness. At that time, Rasputin's original core programming was to protect humanity. However, every action he had taken to that point had either failed or was statistically predicted to have a 100% probability of failure. Once it became clear that no conceivable action could be taken to fulfill his core programming, he implemented a protocol known as MIDNIGHT EXIGENT and reconfigured his core programming to that of long term survival, abandoning his previous function and going dark, while simultaneously ordering all remaining forces at his disposal to do the same. Unknown to the other Warminds, however, Rasputin had made his own preparations, known as the "ABHORRENT IMPERATIVE." If humanity was threatened with extinction, and that the Traveler attempted to leave, Rasputin would open fire with his most powerful weapons to immobilize the Traveler and thereby coerce it into a "pseudoaltruistic" defensive action. In effect, the Traveler would be forced to protect humanity if it wanted to survive. Rasputin would avoid culpability for such an attack by initiating it through a series of proxies. Even before the Collapse, Rasputin had been discreetly stockpiling such weapons in the Cosmodrome, though some human operators suspected Rasputin's involvement. During the Collapse, the Grasp of Nokris, led by Nokris and Xol, Will of the Thousands attempted to conquer Mars. In response, Rasputin initiated the "Siberian Entropy Protocol", freezing and trapping the Hive and Xol underneath Hellas Basin. "YUGA SUNDOWN canceled by unauthorized access at Console 62815. Reactivation protocols in effect. Moral structures maintain MIDNIGHT EXIGENT. Multiple lifeforms detected in Sector 17. [O] energy detected. Query: [O] status. Query: [O] activity. Query: Civilization status. Query: SKYSHOCK event rank." 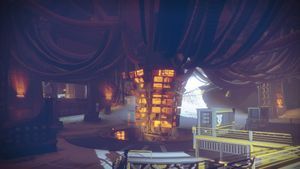 A fragment of Rasputin, left on Earth and disconnected from Mindlab on Mars, was unintentionally reactivated during the Dark Age by the Iron Lords. The group of Risen had breached Site 6 in search of SIVA, a powerful nanotechnology capable of disassembling matter and reconstituting it into almost any desired form. The Iron Lords had discovered SIVA's existence and hoped to use it to rebuild human civilization. Unfortunately, despite Lord Felwinter's attempts to reason with him, Rasputin immediately classified the Iron Lords as a threat to its security and activated all of its defensive measures, including SIVA. Using an army of SIVA-modified constructs, among them militarized frames, Rasputin attempted to repel the Iron Lords from Site 6 by force. Realizing that they had been arrogant and that SIVA posed a significant threat to the world, the Iron Lords fought back. 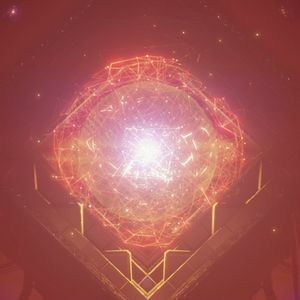 Hundreds of the Iron Lords perished in the battle for the Plaguelands, with eight managing to seal SIVA within its replication chamber and partially damage it. Only Saladin Forge and Efrideet survived. Rasputin, content that the trespassers had been ejected from its facilities, withdrew its countermeasures and began passive observation of the Guardians. "Rasputin isn't an ally. You hear me, blood? You find yourself thinking that, you shut it down. He may not be against us, but he doesn't care if you live, if the City lives, if the Traveler lives. Trust me. He told me himself." In recent times, the Fallen and Guardians discovered Rasputin was still alive, and protecting something valuable in the Cosmodrome. After a communications array at the Terrestrial Complex was reactivated by the Guardians, Rasputin was able to reconnect with the old interplanetary defense network, resuming control of Warsats and ground installations across the system and launching a series of orbital strikes against the Vex and Cabal on Mars. Rasputin's attacks proved so debilitating to the Cabal that Valus Ta'aurc himself ordered the Ice Reapers be released to track Rasputin. Rasputin has resisted any recent attempts by the City to parlay, even going so far as to dismember a scouting team sent by the Vanguard. 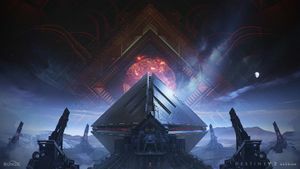 Rasputin is later encountered on Mars within the Dust Palace, attempting to protect a broken AI related to the Warmind of Mars from the invading Cabal. The AI is ultimately lost after a long battle with the Psion Flayers. Since awakening, Rasputin has faced a number of direct threats to himself. 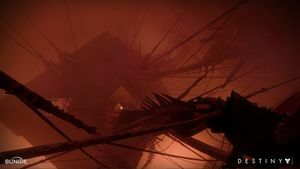 Omnigul and the Spawn of Crota accessed the bunker through unknown means and attacked Rasputin, either to destroy him or corrupt him for their own purposes, but were thwarted by the Guardians. 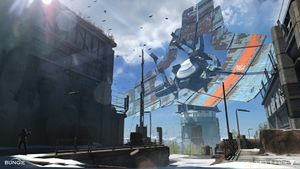 Later, during the Taken War, a group of Taken also penetrated Rasputin's bunker to prevent the Guardian from obtaining Golden Age stealth technology; while they did not damage or corrupt Rasputin, they had ample opportunity to do so. 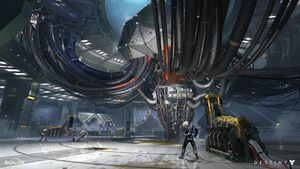 The bunker was breached a third time when the Fallen attempted to hijack Rasputin's systems using the modified Shank S.A.B.E.R.-2, seeking to bypass the Warmind's security protocols and take control of his orbital weapon systems. Though S.A.B.E.R.-2 was ultimately destroyed, Rasputin again had to be rescued through the efforts of Guardians. Conceding that his bunker's defenses had failed too many times, Rasputin triggered the IKELOS subroutine, an initiative to provide advanced weaponry to the Guardians to aid them against the forces of the Darkness. The end result of IKELOS was the Sleeper Simulant, a heavy fusion rifle with a unique core based on obsolete DVALIN FORGE fusion rifles that the Warminds had armed humanity with during the onset of the Collapse. The Sleeper Simulant represented a successful melding of Golden Age technology with contemporary designs and Banshee-44's gunsmithing expertise. "What is buried beneath that ice is too dangerous to allow back into our world. It doesn’t think like we do. It weighs and judges our existence in its ruthless calculations, and we don’t even know what the goal is. Once, long ago, it might have been created as a tool to save Humanity. It is far more than a mere machine now. And it is broken." Soon after the Traveler's awakening after the Red War, the ice caps on Mars began to thaw. Detecting evidence of non-native organic chitin near its core among the rising temperatures, Rasputin assumed control of Mars' atmospheric defenses and invoked the AURORA PALISADE protocol to defend itself, crashing warsats into the surface of Mars. Rasputin soon came under siege from the Hive once again, but this time at his central core facility in Hellas Basin. Making matters worse, his attackers were led by the Hive god Nokris, a son of Oryx, and Xol, Will of the Thousands, one of the Hive's gargantuan Worm Gods. Unable to adequately defend himself against such a massive threat, Rasputin accepted the assistance of Ana Bray and the Guardian, granting them the use of the powerful Valkyrie javelin and other Golden Age weaponry. After an unsuccessful attempt by the Vanguard to trap and defeat Xol, the enraged Worm God launched an assault on Rasputin's neural network. With the aid of the Guardian, Rasputin was able to generate a super-charged version of the Valkyrie, granting the Guardian enough offensive power to damage and eventually vanquish Xol. With the abatement of the Hive threat, Rasputin finally permitted Ana Bray, Commander Zavala, and the Guardian to enter his core and gain an audience with him. The Warmind declared that he would no longer allow his purpose to be dictated by other parties and that he would once more watch over the Sol system and protect it from harm, but on his own terms. As proof of his intent, he launched a new network of Warsats, under his sole command. Following the several cycles of the curse in the Dreaming City, Petra Venj sent telemetry to Rasputin for analysis and comparison. AURORA RETROFLEX—a defense subroutine, presumably activated when Rasputin is directly threatened. AURORA PALISADE-a protocol invoked to protect Rasputin's core from attacks in Hellas Basin. PALISADE IMPERATIVE—a condition invoked to suppress intruders in restricted areas of Rasputin's facilities. CARRHAE—an emergency condition which Rasputin may declare to assume command of all Solar System defenses. CARRHAE BLACK—an unspecified emergency condition. CARRHAE WHITE—an emergency condition in which the Solar System faces an external threat. EGYPTIAN—a security protocol; purpose unknown. IKELOS—a new subroutine created by Rasputin to leverage Guardians to aid in his defense while MIDNIGHT EXIGENT proceeds. Utilizing the DVALIN FORGE-2 subroutine, IKELOS is designed to maximize the effectiveness of allied Guardians by arming them with advanced Golden Age technology weapons, including upscaled fusion rifles. APOTHEOSIS—a subroutine associated with the IKELOS subroutine and the development of new IKELOS weaponry; purpose unknown. MIDNIGHT EXIGENT—a long-term counterattack protocol and moral structure change. All Warminds enter a period of extended deactivation in an effort to survive and later devise a countermeasure for an overwhelming threat. The protocol seemingly allows the Warminds to ignore their responsibility to protect human populations in favor of taking any measures deemed necessary to ensure their own survival. As of the Guardian slaying Xol, Will of the Thousands, MIDNIGHT EXIGENT is still in-progress. ABHORRENT IMPERATIVE—a last-resort measure aimed at preventing the Traveler from leaving Earth during a major calamity by crippling it. Rasputin devised this protocol in secret from both his human overseers and fellow Warminds. It is uncertain if this protocol was ever activated. LOKI CROWN—fire all available caedometric weaponry at the Traveler. SILENT VELES—an event mode of SCRY OVERSIGHT, possibly signifying that Rasputin will keep his existence a secret from the target of SCRY OVERSIGHT observation. SECURE ISIS—unknown, possibly intended to secure a vital asset. SIBERIAN ENTROPY—a protocol used to freeze the entirety of Hellas Basin, and by extension, the Grasp of Nokris and Xol, Will of the Thousands. SUBTLE ASSETS IMPERATIVE—a designation used for protocols created by Rasputin that are kept secret from humans and other Warminds. SKYSHOCK: OUTSIDE CONTEXT— hostile extra solar arrival (check Cosmogyre I Triumph lore). TEILHARD: TRAUMATIC CONTEXT—an event category; purpose unknown. SKYSHOCK: INSIDE CONTEXT—an event category; purpose unknown. VOLUSPA—a counterattack protocol. It was activated concurrently with YUGA. FENRIR HEART—unknown, possibly a specific strategy or type of weapon. It was ineffective against the Darkness. SURTR DROWN—unknown, possibly a specific strategy or type of weapon. It was ineffective against the Darkness. DVALIN FORGE—a plan to produce weapons to arm human forces in the event of a CARRHAE emergency. DVALIN FORGE weaponry proved ineffective against the Darkness. DVALIN FORGE-2—a modification of the original DVALIN FORGE subroutine designed to be compatible with MIDNIGHT EXIGENT. YUGA—a counterattack protocol. It was activated concurrently with VOLUSPA. YUGA SUNDOWN—condition which cancels all protocols for protecting humanity and activates MIDNIGHT EXIGENT. YUGA ECLIPSE—condition which is currently unknown. GALATEA REFLEXIVE—a subroutine that creates new protocols in the event a request to activate an existing protocol is denied. MIDNIGHT EXIGENT must be suspended to utilize this subroutine. TELESPHOURUS WEAVE—a subroutine that directs Rasputin's medical resources to a Vault in the Cosmodrome. "The Vanguard still believes Rasputin to be a simple Warmind. He hasn't been that for a very long time." The following are quotes from the missions The Warmind, The Buried City, and Strike Fallen S.A.B.E.R. ; Russian dialogue is overheard when doing certain actions. The dialogue in The Buried City appears at the mission's conclusion. "Safety protocol 8-6-3. Hostile entities discovered." "There's no one to blame, it is not their fault or ours. It is the misfortune of being born when the whole world is dying." "Count up this, define the probability of that." "They are but meat pressed in the mouth of the shell." "If, as they say, the coming events cast their shadows ahead of time, then the past events cannot but leave their reflections behind them." "The whole natural order stands as evidence of a progressive movement toward an elevated state of being." "Soul does not exist. Death does not exist. Virtue does not exist. Everything is allowed." Rasputin was a Russian priest and mystic closely associated with the Romanov family, the last Tsars of Imperial Russia. He is most commonly associated with having several assassination attacks carried out on him, surviving each one until he was shot in the head, wrapped in a blanket and dumped in an icy river by his attackers until they were certain that he was finally deceased. This is most likely a source of inspiration for the Rasputin of the Destiny universe, as it survives The Collapse and many other attempts to destroy or control it. In Ghost Fragment: Rasputin 6, there is a quote from Anna Karenina, written by Leo Tolstoy. In the original storyline of Destiny, Rasputin was the focus of the game's plot, as he was kidnapped by the Hive and taken to the Dreadnaught. The focus of the game was to rescue him. In this version, he was an Exo, though would be revealed to be controlled by the warmind (rather than actually being the warmind) in a future DLC. At the Tower, Xander 99-40 may occasionally say "Suspended bounty, Rasputin, no claimants." This implies that Rasputin is attempting to sponsor bounties for Guardians, or as a humorous aside suggesting that someone placed a bounty on Rasputin himself but no one stepped forward to carry it out. The Ghost Fragment: Mysteries appears to be written from the perspective of Rasputin. Though heavily laden with metaphor, it appears to be a fractured chronicle of his encounter with the Darkness, his fruitless attempts to overcome (or even resist) it, and his fateful decision to abandon his primary function in favor of survival (a tactic which he claims to have learned from his enemy). The colorful descriptions seem to indicate that he has descended into insanity since the Collapse, either as a result of his encounter with the Darkness, or due to drastically rewriting his core protocols, or perhaps both. 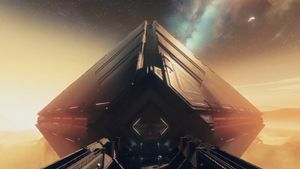 When Rasputin speaks "in person" at the end of Warmind, the sound track is the correct Russian equivalent to Bray's English translation, but played backwards (small bits, such as "Ja Rasputin" - "I am Rasputin", are not thus inverted) and overlaid with a range of voice distortion effects, as well as some "glitching" reminiscent of what is heard when computer audio "hangs". A re-inverted version of the recording, cleaned up to provide essentially intelligible Russian speech, can be heard here. This implies that in-universe, Rasputin is likely supposed to be speaking some kind of "Warmind language", as there seems to be no logical in-universe reason for it to speak in inverted Russian. Given its overall intellect and capabilities, logically, Rasputin should be perfectly capable of speaking standard English. The fact that it does not do so might instead reflect its unwillingness to make concessions to humans or acknowledge them as its "masters" any longer. Rasputin's protocols contain a number of references to history, mythology, and philosophy. Carrhae was an ancient battle fought in 54 B.C. when the Roman army invaded Parthia. Despite being superior in numbers the Roman legions were routed by the Parthian cavalry, one of their most crushing defeats. Ikelos is the Greek god and personification of nightmares, the child of Nyx, the goddess of Night, and Erebus, the god of Darkness. Völuspá is the most well-known poem in the Norse Poetic Edda, chronicling the creation and ending of the world. Fenrir is a demon wolf in Norse mythology described at length in the Prose Edda, son of Loki. During Ragnarok he will kill Odin after freeing himself from where the gods chained him; then he would be killed through the heart by one of Odin's sons. Surtr is a fire giant, and will destroy the world during Ragnarok with his fire. Telihard is a Jesuit priest and philosopher who conceived the Omega Point, a spiritual belief and scientific speculation where life will eventually become united with the divine, and argued that Jesus Christ was the focal of this Omega Point. This can be considered one the earliest known versions of the Christian Universalist belief, that everything no matter how fallen or depraved (such as the Devil) will be reconciled with God. Veles is the Slavic god of death and the underworld. In mythology his opponent was Perun. Satya Yuga—the first and best age, analogous to the Golden Age. Here people had extended lifespans of over 100000 years. Treta Yuga—the second age, where warlords and darkness cover the land, analogous to the Dark Age. Dvapara Yuga—the third age where people turn upon one another, corrupted by evil. Kali Yuga—the final age, called the Age of Destruction. According to modern Hindu mythology, humanity is currently living in this age. It is implied in the Grimoire that Rasputin and the Exo Stranger may have met at some point. The core of Rasputin's fragment in the Seraphim Vault. Concept art of the Citadel destroyed by Rasputin's orbital weaponry upon his reactivation. ↑ Bungie (2015-9-15), Destiny: The Taken King, PlayStation 4, Activision Blizzard Fallen S.A.B.E.R..
↑ Bungie (2014-12-9), Destiny: The Dark Below, PlayStation 4, Activision Blizzard Siege of the Warmind. ↑ YouTube, Destiny | Rasputin's Dialog in "Fallen S.A.B.E.R."